At Lehigh Valley Eye Care Associates, we provide our patients with exceptional care and attention to their eyes. Our Allentown, PA optometrists offer the most advanced treatment options as well including Ortho K. Ortho K is a type of corneal reshaping technique that can work for many people who are not good candidates for LASIK or PRK eye corrections surgeries. Orthokeratology, or Ortho K, is a non-surgical solution that changes the way your cornea refracts light, improving your vision. When you visit our Lehigh Valley optometry office, we’ll help you determine if this can help you. Our optometrists are available to provide a consultation to you for Ortho K if you haven’t been evaluated or have been recommended for this procedure for your eyes. We serve patients in Lehigh Valley, Allentown, Whitehall, Bethlehem, and Easton. Who Might Be a Candidate for Ortho K in Lehigh Valley, Allentown, Whitehall, Bethlehem, and Easton, PA? The cornea is a transparent, spherical area that sits on your eye lens. It works to protect the inner structure of the eye. It also helps to work like a lens to filter light as it comes into the eye. The shape of the cornea impacts the way the light is refracted or bent. This impacts how clear or sharp the images you see are. The light comes into the cornea, is refracted by it, and then passes to the retina and optic nerve. The optic nerve then sends a message to your brain about what you’re seeing. If your cornea isn’t shaped properly, you may benefit from Ortho K.
Laser surgery, in these cases, is ineffective. However, Dr. Sankari can help you find out if Ortho K will improve your vision. How can your vision improve without surgery? In the Ortho K procedure, you may still be able to gain permanent vision correction. Our eye doctors will map the cornea of your eye very precisely. Then, a specially designed contact lens is created for your eye. This is not a typical vision-correcting lens that you may be using. These are worn at night. The lenses are designed to subtly reshape the cornea while you sleep. They do not hurt and are just as comfortable as traditional contact lenses. They are a specialty contact lens that can dramatically improve your vision so much so that you may not have to wear contacts or glasses during the day. In the morning, you’ll take the contact lenses out and you’ll be able to see significantly better. This lasts a few days. You’ll need to wear them regularly at night to maintain this higher level of vision clarity. If you stop using them, your vision returns to the way it was prior. 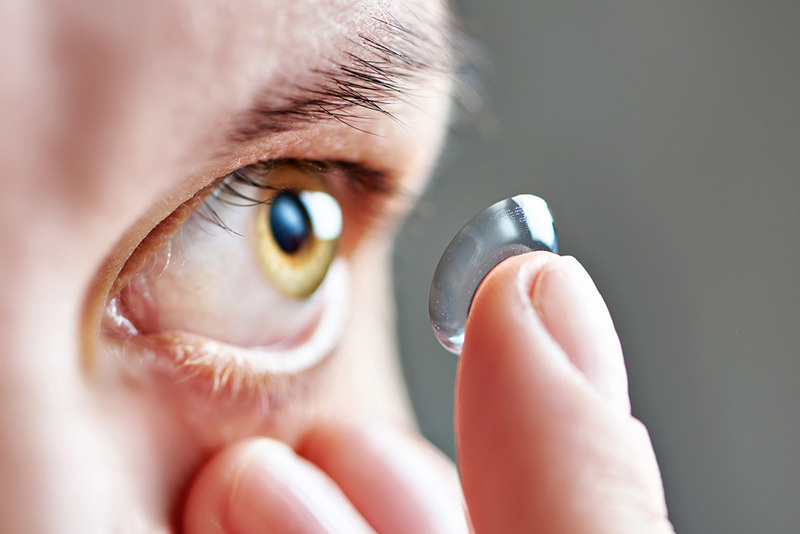 This specialty contact lens can be life-changing for many people. If you are considering Ortho K or need any other vision need, put your trust in our team. Our optometrists in Allentown are available to help you learn if you can benefit from this treatment. We serve patients throughout Lehigh Valley, Allentown, Whitehall, Bethlehem, Easton, and the surrounding areas. Call us for an appointment today: (610) 486-3285.